My friends seem to be getting a wee bit spoiled. "No, I don't want cupcakes. I want a tart." Wait wait wait--back up--come again?! Now, you all must understand something about Richard. He's not a food enthusiast like I am. Not in the slightest. This is the guy who, when I met him years ago, would have been perfectly content eating the same turkey-cheese-iceberg lettuce-mustard sandwich for lunch every single day for years on end. People who meet us nowadays are constantly scratching their heads about how we're together, since Richard feels as dispassionate about food as I feel passionate about it. Over the years, I've managed to train him well on certain things--for instance, he now has a fine appreciation for well-made tapioca tea or fresh, finely-rolled, raw-fish-incorporated sushi. But he often still snubs his nose at my culinary... er... creations. So, imagine my incredible surprise upon discovering that I'd actually trained and spoiled him far more than I had even thought, Mr. "I Want a Tart and not Cupcakes for my Birthday." So once his choice of desserts was settled, I set about working on designing a tart worthy of a closeted dessert connoisseur's birthday. And there's possibly no food item Richard loves more than strawberries. I've never seen anyone inhale the same vast amounts of the fruit like he does. Hence, I knew it had to be a strawberry tart. 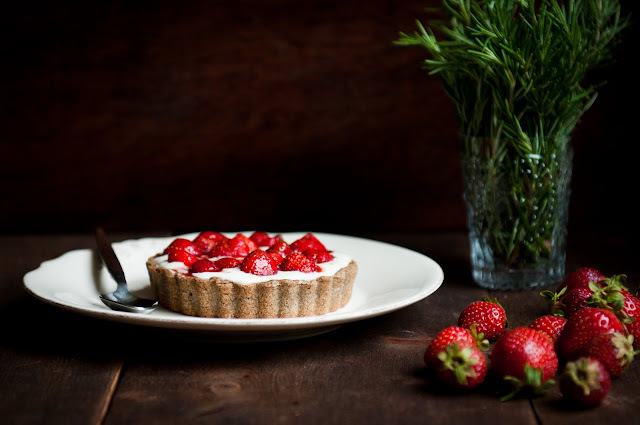 Because there would be so much strawberry-age involved, I wanted to darken up the rest of the flavors more and to develop a robust earthiness to the layers underneath the sweet summery berries, so I went for a strawberry, rosemary-caramel, and buckwheat tart. The tart has a base of buckwheat pastry--slightly nutty and sweet from the buckwheat but with a darker tang than with a regular, white flour crust. The pastry is coated with a light layer of rosemary caramel that is just salty enough to cancel out the sweetness, and the rosemary offers a hint of brightness and uniqueness to the strawberries on top. (The rosemary isn't overpowering at all.) 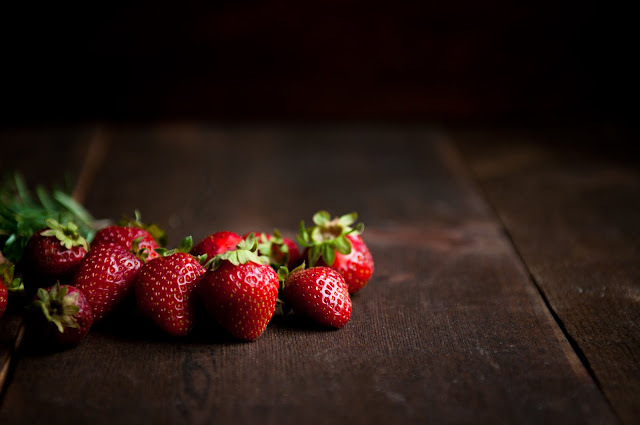 The strawberries sit on a bed of simple vanilla pastry cream and are brushed with a generous amount of freshly-reduced strawberry syrup, basically packing double the amount of strawberry flavor into a single fruit layer. With patience, you can slice the strawberries and arrange them around the tart, or, go for the rustic look by plopping entire tiny whole strawberries on top. 1. Using a food processor or pastry cutter, mix the buckwheat and AP flours and sugar until combined. Cut the cold butter into the flour mixture until the size of small peas. 2. Add the egg yolk and gradually add the water just until a dough begins to form when you press it between two fingers. Do not overmix. 3. Form the pastry into a ball and refrigerate for at least one hour. 5. Remove the pastry dough from the fridge and press the dough into the tart pan. Prick the bottom of the dough all over with a fork, cover with parchment paper, and weigh down using dry beans or pie weights. Return to freezer/refrigerator for a few minutes if the dough has softened. 6. Bake for ~13-15 minutes until the edges just begin to turn golden. Remove the beans and the parchment paper and continue to bake for 3-5 minutes more, until the crust has completely turned golden brown. Remove from oven and let cool. 2. In a small, light-colored saucepan, wet the sugar with just enough water to make it the consistency of wet sand (~1 - 1 1/2 Tbspn water). 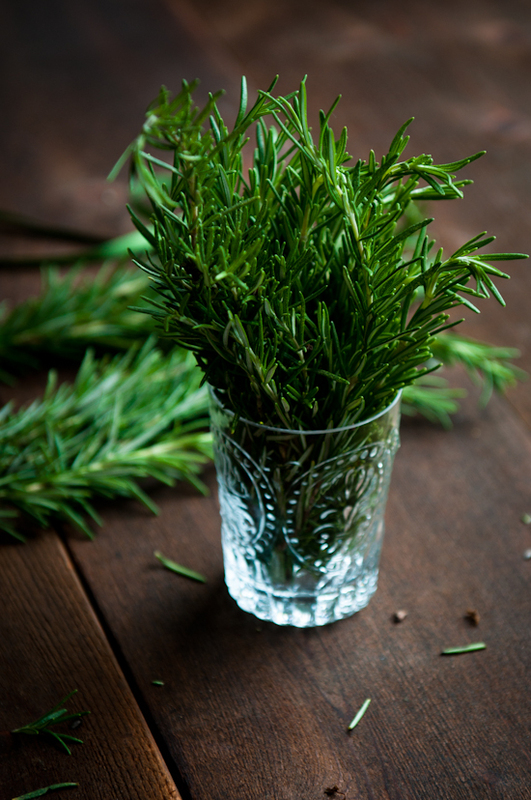 Add the rosemary leaves. 3. 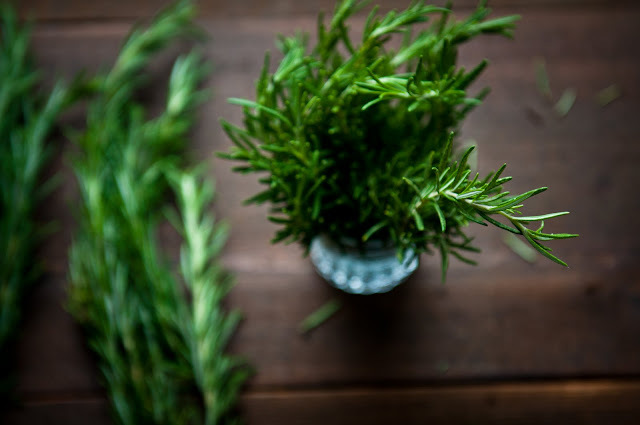 Cook the sugar and rosemary on medium heat. Do not stir once the sugar starts boiling--swirl the pan around gently to insure even cooking. Cook until the sugar is a deep amber color, right before it is about to burn. Immediately add the butter and salt and whisk thoroughly. Be careful--this will sputter! 5. Once the cream has incorporated, pour the caramel into another heat-resistant container to cool, straining through a fine mesh sieve to remove unevenly cooked sugar, if necessary. Let cool briefly. Stir in the lemon juice. Let cool briefly, and spread a thin layer onto the bottom of the tart crust. Save any extra caramel for other uses. Let the caramel cool to set. 1. Bring the milk and cream to just a simmer. 2. In a separate bowl, whisk together the egg and sugar. Whisk in the flour. 3. Using the simmering milk, temper the egg mixture by adding a little bit of the hot liquid at a time, whisking constantly. 4. Return the milk and egg mixture to heat, stirring and scraping the bottom of the saucepan until the mixture thickens and can thickly coat the back of a spoon. 5. Immediately remove from heat and stir in the vanilla. 6. Let cool. Once cool, pour on top of the caramel in the tart crust and smooth. Refrigerate for at least an hour to let it set. 1. Extract all the juice from the frozen strawberries by pressing them through a fine mesh strainer. You should have a little more than a 1/2 cup of juice. Set the pulp aside for other uses. 2. Boil the strawberry juice until it has reduced by more than a half (~3-4 Tbspn left). 3. Stir in the lemon juice and then stir in the sugar to taste. Let cool briefly. 4. 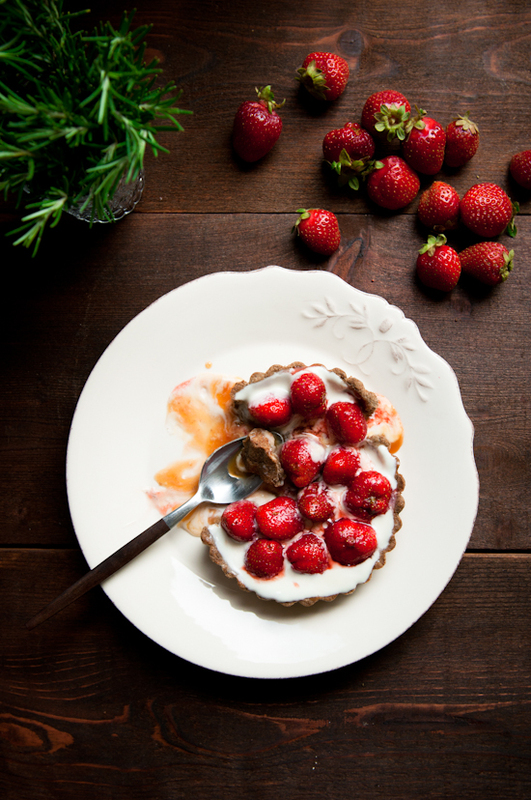 Arrange the fresh strawberries on top of the prepared tart. Brush the strawberries with the slightly warm strawberry syrup. Oh, this looks amazing! I'm so glad he decided to turn his nose up at cupcakes because that tart looks de-li-cious. Gorgeous tart. I've never been a huge strawberry fan but for some reason I've totally fallen for them this summer. Rosemary caramel sounds pretty yum too. Lucky Richard! This is an OMG tart! It looks absolutely yummie!!! Beautiful photography! This tart is gorgeous and sounds amazing, the rosemary caramel sounds over the top! I'd choose this over cupcakes for sure! It looks amazing and the attention to detail of the layout of those strawberries...WOW. Food meets art! Yum! I think I would have chosen the cupcakes...but this tart is definitely something special! Happy birthday Richard! 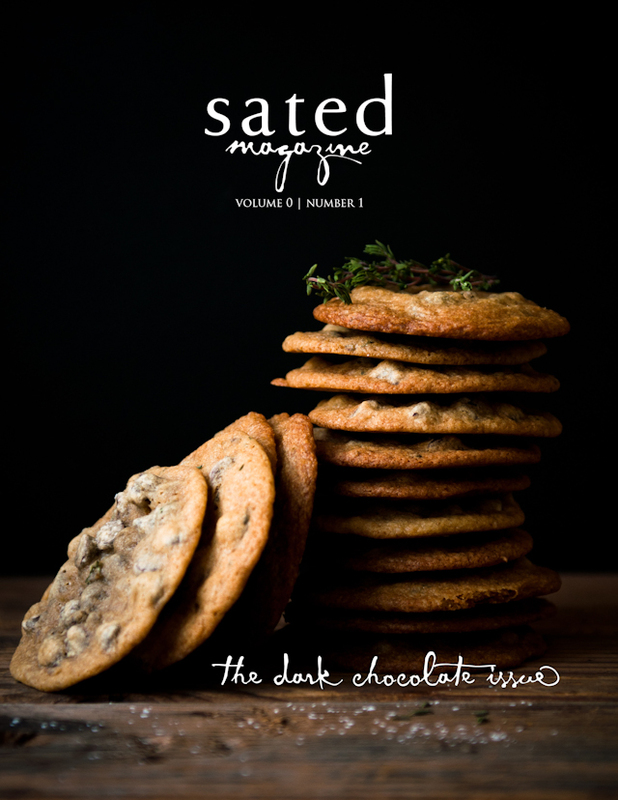 I love the idea of rosemary caramel, yum! 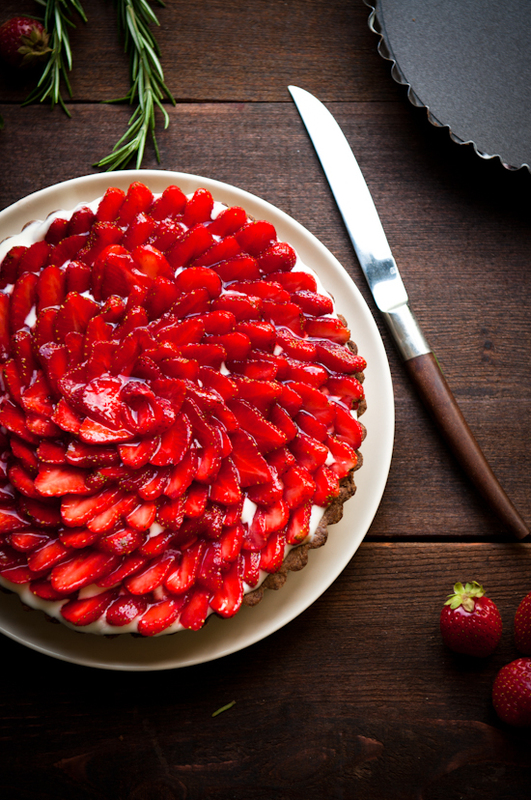 And the arrangement of the strawberries in the tart is so pretty! This is beautiful! I recently made a rhubarb crumble with rosemary in it. It was fantastic! @Zita: how soon can you get to California? 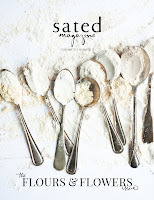 @Jacqui: oooo, rhubarb crumble with rosemary sounds absolutely delicious. Must try that combination. @Beth: I got the spoon at a local antique fair--the guy tells me it's a rosewood handle. O.M.G. Those photos are out of control. I love the combo of strawberries and buckwheat. Gorgeous, gorgeous. These pictures are stunning! 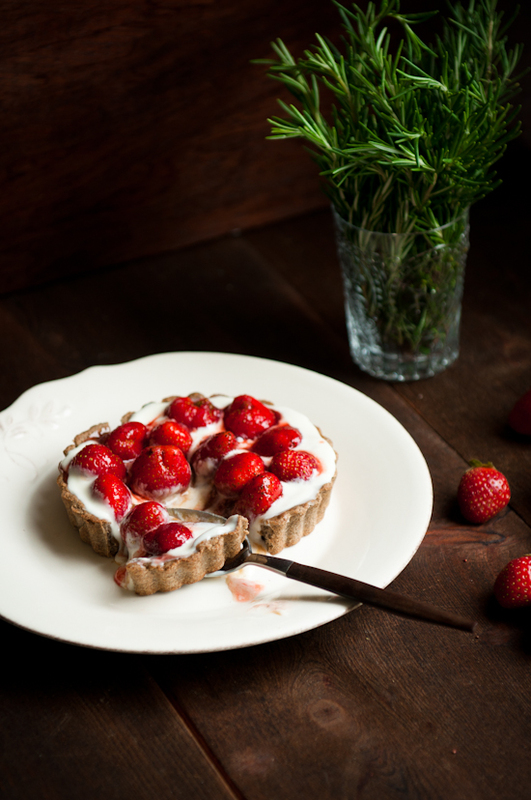 I promised my husband I'd make him this tart today (or else I'd make yours) but I'll print yours for a later date: http://www.dishingthedivine.com/2011/05/30/strawberry-cream-cheese-tart/ Your photos are absolutely divine! So smitten with the photos, as always. I love the savory sweet sound of this tart too. Rosemary-caramel & buckwheat. Yum! Your photos are so amazingly gorgeous! 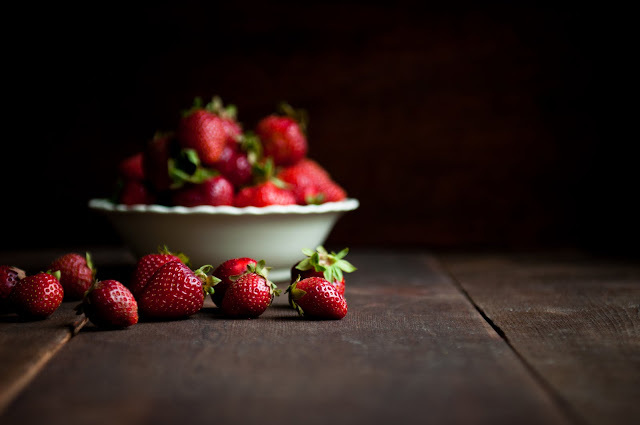 And those strawberries look super yummy. Oh, I could just dive right into that top photo. Stunning!! I think this could be the start of a new trend. Birthday tarts! What a deliciously original combination. I love your creation here, and of course, your photos are amazing. I really miss fresh rosemary, I would have never thought to use soba for the crust, I wonder if I can toss over some yogurt with the berries, I'm on a diet trying to get into a bikini by July, but this looks divine. I just found your blog through this tart picture on Pinterest! I put your picture in a new post on my blog- (linking back to Pinterest and linking back to you) and am a new convert to your GORGEOUS blog. YES! Starting the Day Out Right! Oh wow, I love the use of caramel as a sort of base for integrating strong flavours without it overpowering....definitely going to have to experiment with that! A beautiful non-typical summer tart. Lovely. Hi, I'm Donatella and I'm italian! Your tart looks so tasty and delicious! Great innovation af classic dessert! Also your photo are really beautiful! Your tart is stunning! I love the rosebud pattern of the strawberries. Your photography is also stunning. While I appreciate the degree to which everyone's blown away by the tart and the pics,you deserve the most kudos for Richard's transformation. I mean, this is Richard we're talking about. What has changed since you've known him? Clothes? Nope. Demeanor? Nuh-uh. Palate? We have a winner! This is one of the biggest compliments your baking skills could receive. :) Well done Steph, and happy belated bday to R. Turbo Dizzle! Nicely done! I'm glad Richard is starting to see the light! If only I could help my husband see the same... Your tart looks yummy! Nice touch with the buckwheat flour. Definitely a creative way to mix things up! Would adding strawberries to the cream be worth a try or do you think it would oversaturate the flavor? This is stunning. Your photos are so beautiful. But, the description - Richard's pretty lucky! I'm going strawberry picking next week and I think I have to try this. Those look sooo good. I'm very curious about the rosemary carmel! I would heap piles of adoration at your feet for this dish, but I'm too busy wiping the drool off my chin. Bellissima! Mmmmmm this looks amazing! I was just showing my fiance this site and I made him look at your mocha dobos torte cake above. His eyes burst open :) It's seriously such an amazing post and so it goes with this one.